Moving to Spain can be compared to a fairground ride. The question is … will it be a fun ride that you enjoy or one that has you shrieking in frustration and fear? It goes without saying that research and planning are fundamental for a successful relocation. And don’t listen to anyone who says you are doing too much. Whether moving to Spain on your own, as a couple or with your family, you can always benefit from a helping hand. I am not only offering you a helping hand, I am giving you the opportunity to benefit from my knowledge and expertise in a flexible and affordable manner. Working with me ensures you enjoy the ride! Are you uncertain how to avoid the pitfalls people moving to Spain are faced with, the expensive mistakes? Baffled by the infamous Spanish bureaucratic system, the endless red tape? Are you certain you have chosen the best area to live? How about selecting the best school for your children? What about NIE and residency? There is so much conflicting information published on the web and in expat publications! And, what about all the risks involved in purchasing property in Spain? Are they really risks? I can easily help clear up all these doubts and uncertainties. I have just what you need to make your move to Spain a success. With my assistance, you’ll soon be living and loving your life in Spain, as much as we do. What can I help you with when planning your move to Spain? Please be advised that I have a limited number of spaces each month. The sooner we start working together, the more successful and enjoyable your experience of moving to Spain will be. 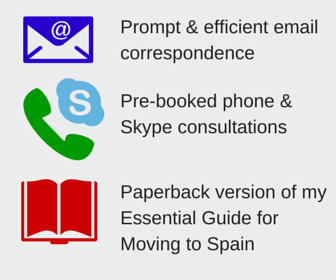 So, which Moving to Spain Consultation Pack is best for you? All Moving to Spain Consultation Slots include phone consultations, email follow ups and a paperback copy of my very popular book about Moving to Spain. All you need to do is decide how much assistance you require and book your place. If you are uncertain how much help you require, simply Contact Me and I will guide you, based on your own personal situation. If you are looking to purchase a property in the Malaga province or the Costa del Sol read how I can help you via our relocation website: Professional Property Finder Service. 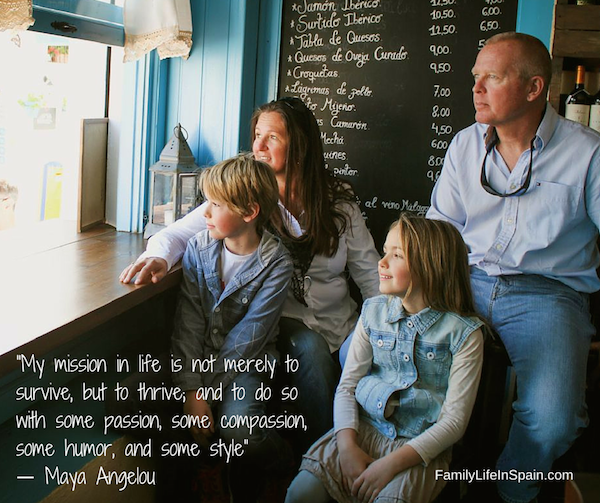 Please be advised that our pay-per-session Consultation Slots are only available to people who have read Lisa’s book “Moving to Spain with Children”. Visit Amazon to order your copy now. With the information provided in the book, backed up by Lisa’s guidance and answers to questions relating to your own personal circumstances, your move to Spain will become a lot easier and less stressful. Whether you need help making a decision about your ideal destination, or you are simply unsure where to start, you will benefit from our extensive knowledge and guidance for your own relocation process. 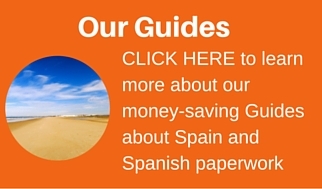 A great guide for anyone considering a move to Spain. Covers many considerations that need to be thought about and researched well. Very honest, succinct and comprehensive without being a long read. Some entertaining stories to help describe various situations and give you food for thought. This book has been a tremendous help and I would recommend it to anyone considering moving to Spain. We are planning on moving out in spring 2016, but the book has made us think of many things well in advance, that we just wouldn’t have considered. Moving abroad is a scary concept and even more so when you are thinking of the welfare of your kids and you want to make the move as positive, smooth and exciting as possible – no matter how daunting it is for us? I’ve watched some of Lisa’s videos which are great, and also follow on Facebook. Lisa has the natural ability to bring it all to life with clear explanations, pitfalls to watch out for, but also to remember why we are moving to Spain with our boys. Well done, Lisa and keep up the good work! Bought this book even though I’m moving to Spain without children, it’s a must have that will guide you through all the steps to make your move go as smoothly as possible. This book covers every step of the way from how to get your NIE right through to health cover a must have for anyone considering moving to Spain !!! 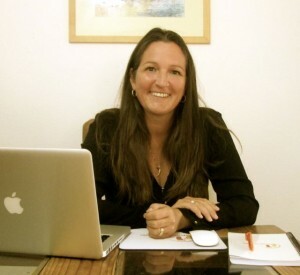 Lisa Sadleir is immensely knowledgeable about the problems expats moving to Spain with school-aged kids will face. She’s particularly helpful on the issues of dealing with Spanish officialdom, and her book not only gives a sense of what that process is like, but models the patience and good humor she feels are the best qualities to bring to the encounter. What I like most about her book is that, after spending more than twenty years in Spain, she retains and communicates to the reader her original affection for the country, the culture, and the people. Though I agree with the reviewer who thought the book will be most helpful to those with EU citizenship, to me its greatest virtue is how encouraging it is. She wants your move to be successful, believes it can and will be, and mobilizes all her experience in support. I bought this book a couple of months ago as we plan on moving to Spain next summer for a year. I had no idea where to begin with regards to residency, applying for schools and renting etc and was beginning to feel a little overwhelmed when I was finding conflicting information on line. Thanks to this book though I have been able to get the ball rolling and I feel much happier about our decision now that I know what to do. The book covers all the essentials and things I had even considered. So far so good. I now feel ready for Spanish bureaucracy and am looking forward to being through it to living the Spanish life. Take the first step and book your consultation spot now!